When I first started assigning cooperative learning tasks in my classroom, it was truly on a trial and error basis. And I'm here to tell you, I made LOTS of errors. I finally figured out that I was not giving my students sufficient directions and organizational tools. As you can imagine, the results were catastrophic. On their own, my kids determined who was going to talk (everyone), when the talking was to occur (constantly), and just exactly WHO was going to do WHAT (no one). Clearly, I had not given sufficient forethought to this. What follows on this page, as well as the Overview to Cooperative Learning and Grouping Strategies pages, is what I've learned from all my trials and errors. I'm not saying that I've covered everything here, but I am saying that this is certainly a much better way to start this endeavor than what I chose. I've found, and perhaps you have too, that many of my students who come to me each year are already familiar with working in groups. However, I have to assume that some are not. 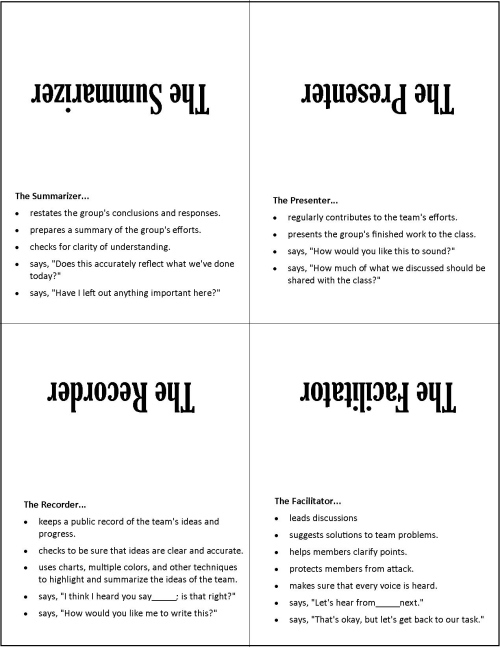 As a result, I work with the entire class to establish the rules for successful group work. Through a brainstorming session with the kids, I try to guide them into establishing reasonable rules for group work so that they will have some sense of "buying into it." And, as you can imagine, the kids who ARE familiar with working in groups help to steer the rest of the kids into an appropriate frame of mind. be encouraging, friendly, and responsive to other members of the group. provide positive, constructive feedback on other members’ ideas. promote compromise and consensus among group members. ensure that everyone has an opportunity to contribute to discussions and the work of the group. help set standards for the group and its work. help the group monitor its effectiveness as a team. be a good listener, attending and responding to other’s contributions. assume a fair share of the group’s work. interfere with the group’s work by blocking efforts to achieve consensus. divert the group’s work by introducing irrelevant issues. 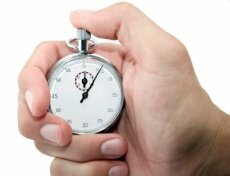 monopolize the time the group has for its work. be passive or act indifferent during the group activity. dominate the group or assume a larger share of the work than other group members. reintroduce ideas that have already been decided by the group. Whatever your grouping strategy is for your kids, I would recommend that you make each group as diverse as possible. I have found that diverse groups tend to come up with more original and informative work than less diverse groups. It may be that less diverse groups work together more smoothly, but they learn less about the group dynamics that they will need to productively work with people of greater diversity in their futures. Certainly one way to address and insure group diversity would be to distribute a survey to identify the kinds of diversity that exist among your students. Once you've discovered the variety of talents and skills that will be most beneficial in a given group project, you'll be better equipped to group your kids. Another way would be to assess the preferred learning style of each student in your classroom. A third way would be to randomize the selection of group members. 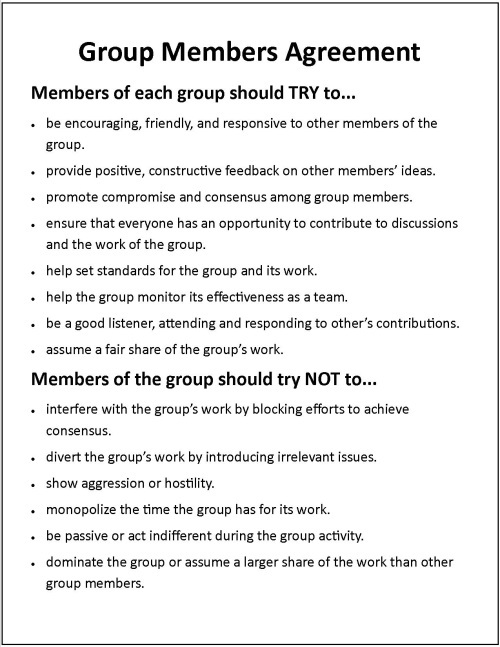 For a more thorough discussion of grouping strategies, please see this page. As a professional teacher, you already know the importance of providing plenty of structure, directions, and rationale for class work. But, since your kids will be working in groups, I think the aforementioned is even more important when using cooperative learning scenarios. If students don’t know why they are being asked to work in groups or have little idea about the learning objectives for the activity, their attention, motivation, and productivity will not be optimized. Additionally, many of my colleagues provide only oral instructions for group work, but aside from very short, simple exercises, I firmly believe that written directions should always be supplied. I'm quite sure that you've made a habit of explaining to your kids what they will be learning in your class, why it should be important to them, and what your expectations are. And, I'm just as sure that you always explain how they will be graded. These preparatory procedures are even more critical when using cooperative learning groups. Many kids, especially the ones that are not accustomed to working in groups, become very apprehensive about participating. They worry that the actions of their fellow group members may negatively impact their grades. 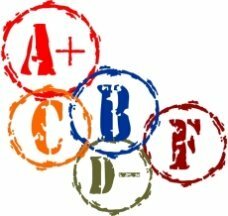 Supplying clearly articulated and complete grading rubrics along with the method for scoring each component of group work will alleviate their anxiety. It may also tend to reduce or eliminate competition within the group. HOW you determine which kid will do what is largely a matter of personal preference. I have tried basically two methods. I have assigned the individual tasks to each student, and I've also tried providing a brief description of the roles and allowing students in each group to determine who is going to do what. Because it serves as a sort of warm-up activity for group work, I prefer the latter approach--particularly near the beginning of a school year. I do strongly believe, however, that individual roles should be rotated after a logical passage of time. This is because I think that rotating roles is an effective strategy for developing students' skills in group work. Additionally, I'm pretty certain that this rotation strategy tends to encourage shy students as well as curb outspoken or controlling group members. support the work of the team. contribute ideas about content and process. help move the team to its goal. clean up when the activity is completed. Although I know that many teachers designate one student in each group to be the timekeeper and one to be the materials manager, I've found that these roles are so easily accomplished that once students perform their limited duties, they tend to disconnect themselves from group work. I have nothing against appointing timekeepers or materials managers. If you have found a way to successfully work these roles into your classroom group work, by all means, don't let me dissuade you from doing so in the future. I have found that groups consisting of four students work best for my kids when they work cooperatively. provides leadership and direction for the group. suggests solutions to team problems. makes sure that every voice is heard. focuses work around the learning task. says, "That's interesting, but let's get back to our task." keeps a public record of the team's ideas and progress. checks to be sure that ideas are clear and accurate. uses charts, multiple colors, and other techniques to highlight and summarize the ideas of the team. says, "I think I heard you say_____; is that right?" says, "How would you like me to write this?" restates the group's conclusions and responses. prepares a summary of the group's efforts. checks for clarity of understanding. says, "Does this accurately reflect what we've done today?" says, "Have I left out anything important here?" regularly contributes to the team's efforts. presents the group's finished work to the class. says, "How would you like this to sound?" says, "How much of what we discussed should be shared with the class?" The four sets of individual tasks for team members presented above are by no means carved in stone--adapt them to best suit your needs. The Data Collector--collects and records data for the activity. The Checker--keeps track of the group’s progress toward its goals. The Elaborator--connects discussions with prior material and activities. The Encourager--praises and affirms. Records positive comments and actions. The Materials Manager--gets and returns supplies and materials. The Timekeeper--monitors time and helps to keep the group on task. So, how do you go about getting all of this into place in your classroom? What follows in the section below is something that I think you will find to be extremely useful for establishing in your kids' minds what you are expecting them to do. Here's something that really works well with members of a group. Once individual tasks have been determined, I give each group a set of the tent cards that you will see here in this section. One side of each tent card displays the student's job title and the other side lists the responsibilities for that job. When they are displayed with the job titles facing the other members of the group, everyone knows what each member is doing. And, each student has a list of reminders of what their responsibilities are. I deliberately designed them to be rather small, so as not to take up too much student desk space. But, they are large enough that everyone can clearly see them. I am happy to share this with you. I'd like to suggest printing this on card stock (heavy paper). Once they're printed, cut, and folded they can be used many times over. You may download this PDF completely free of charge here. If this is the first cooperative learning page on Daily Teaching Tools that you have read, you may be interested in seeing the Overview to Cooperative Learning, Grouping Strategies, and Cooperative Learning Packet pages. Additionally, I have three more pages planned for the immediate future that you may find useful. As always, if I have left something out or if you'd like me to address an issue regarding this topic, I will try my best to accommodate your request. I hope that you and your kids are having a great school week and a very successful year.